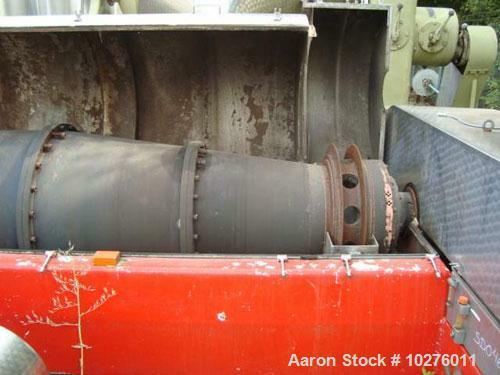 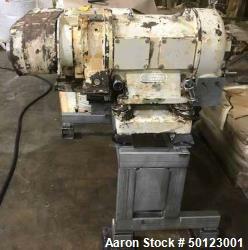 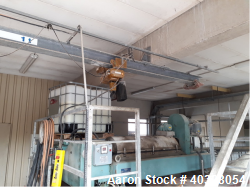 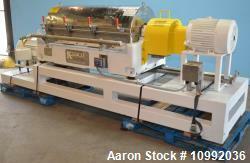 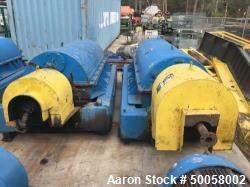 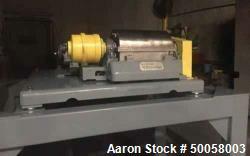 Used-DDS K-181MC Solid Bowl Decanter Centrifuge. 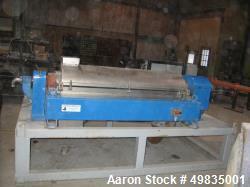 Used-DDS K-181MC Solid Bowl Decanter Centrifuge. 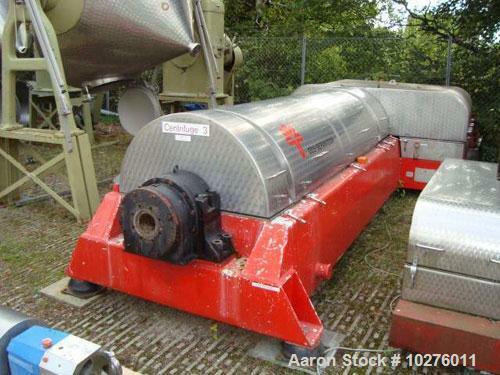 Carbon steel construction (product contact areas), max bowl speed 1700 rpm, single row conveyor with Wolfram/Cromcarbid tiles, single row of solids discharge ports, liquid plate dams, gearbox, feed pipe, base, casing, 90 hp/60 kW drive motor 380/3/50, G-force 1300. 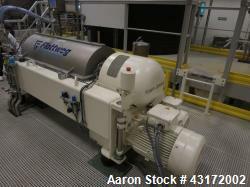 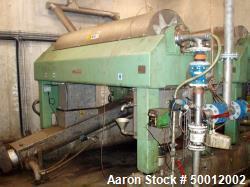 Nominal capacity 10,600-13,230 gallon (40,000-50,000 liter) per hour. 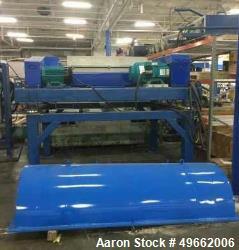 Overall dimensions:15'10" long x 6'10" wide x 3'5" high (4916 mm long x 2147 mm wide x 1063 mm high).